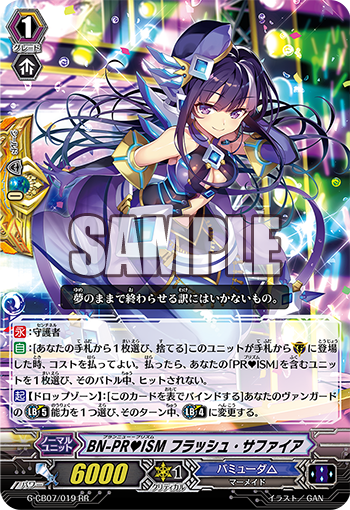 Today’s COTD is PR♥ISM’s new perfect guard. AUTO [Choose a card from your hand and discard it] When this unit is placed on (GC) from your hand, you may pay the cost. If you do, choose a unit with “PR♥ISM” in its card name and it cannot be hit until the end of the battle. ACT [Drop Zone] [Bind this card face-up] Choose one of your vanguard’s “Limit Break 5” abilities, and it becomes “Limit Break 4” until the end of the turn.